Refine your business attire with an expertly tailored suit from renowned British menswear designers Hackett. Wonderfully crafted from the finest wool, Hackett suits will add that touch of luxury to your wardrobe that any professional gentleman requires. From sleek sharkskin designs through to more characterful patterned cloths, Hackett London suits will make sure you stand out in the boardroom this season. 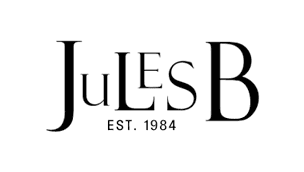 As well as our selection of Hackett men's suits, here at Jules B we are proud to showcase a host of Hackett blazers that are perfect for those smart-casual occasions.